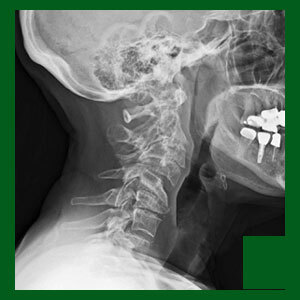 Cervical spondylolisthesis is an unusual location for vertebral slippage to occur. Spondylolisthesis in the neck can occur for similar or different reasons than lumbar listhesis conditions. However, since the neck features the spinal cord, there is always an added element of potential danger that is not inherently present in the lumbar spine, where the cord is replaced by the various smaller roots of the cauda equina. Cervical listhesis might be an atypical presentation of vertebral migration, but is still seen regularly in clinical medicine. As with traditional lumbar listhesis, there are different reasons for cervical vertebral slippage to take place and these reasons often influence the manner in which the condition should be treated. This discussion focuses on explaining spondylolisthesis in the neck. We will examine the causes, symptoms and treatment of the condition to help patients to better understand cervical listhesis as an independent entity. Injury to the pars interarticularis is one of the most commonly cited reasons for cervical vertebral slippage, through a process known as spondylolysis, which describes a fracture of this anatomical isthmus of lamina bone. Injury to the pars might occur due to general trauma, whiplash or surgery. Degeneration of the tissues in the neck can cause spondylolisthesis. Some of the commonly reported deterioration-related causes include facet joint dysfunction, ligamentous dysfunction, intervertebral disc abnormalities and changes in the spinal curvatures including cervical lordosis or rare cervical scoliosis. Some cervical listhesis is idiopathic and might be related to congenital or developed circumstances that dispose particular vertebrae towards migration without known explanations. Elongation of the pars interarticularis, as well as thinning and general poor formation of the pars are the most often cited direct sources. Similar to lumbar spondylolisthesis, most cases of cervical vertebral migration are not consequential or symptomatic. 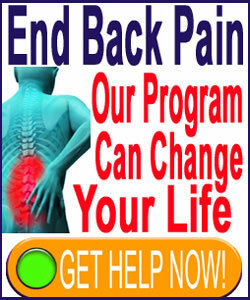 Most cases are rated as being grade 1 or 2 and usually do not create any particular pain or problems for the patient. When cervical spondylolisthesis attains the classification of grade 3 or 4, the likelihood for symptomatic expression increases dramatically. Listhesis can create pathology though the processes of foraminal or central spinal stenosis and both of these are often present together in severe cases of cervical vertebral slippage. Central stenosis can compress the spinal cord, potentially enacting very diverse and wide-ranging symptoms throughout the anatomy, as well as potentially threatening to damage the cord itself, enacting a myelopathy condition. Foraminal stenosis might compress one or more nerve roots, leading to innervation concerns and symptomatic activity in affected areas of the body, namely in the shoulders, arms, neck and upper back. Listhesis can also cause mechanical pain in the spinal joints, which is often diagnosed as facet joint syndrome. This can occur due to joint misalignments and the advanced degeneration that usually accompanies abnormal movement of the vertebral bones in the cervical spinal anatomy. Successful treatment for cervical listhesis depends on the mechanism of action in some cases, although several modalities are almost universally utilized for all causes of vertebral shifting. Conservative measures include the application of symptomatic modalities, including drug therapies, massage to ease soft tissue tightness and stress, chiropractic to minimize joint pain and various types of injections for extended duration symptomatic mitigation. Exercise is a key element of many treatment plans, since it helps to strengthen the supportive muscles around the displaced vertebra and possibly reduce the likelihood for listhesis progression. Invasive methods of care include universal spinal fusion surgery, often accompanied by foraminotomy, laminectomy or facet joint-specific techniques to minimize stenosis and correct focal joint dysfunction. Surgical solutions are usually effective, but do come with a host of negative considerations that must be weighed against the prospective benefits of treatment. Since the possibility for spinal cord injury exists with severe cervical listhesis profiles, extra special care must be taken when evaluating and treating clinically significant examples of the condition. If left untreated, the patient might suffer catastrophic cord injury. However, treating severe listhesis might also endanger the spinal cord or spinal nerves, so surgical options should always be managed exclusively by true experts in upper spinal surgical endeavors.